and so are my boots. thanks annoying taxi for splattering me. yeah, giant bottle of vinegar, what what! 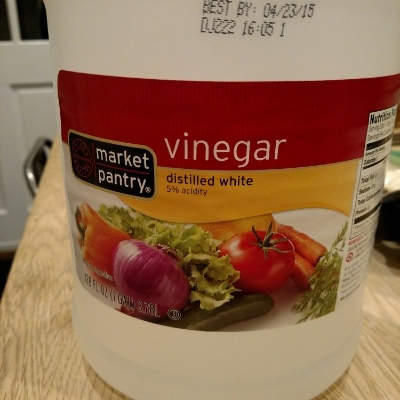 white vinegar. Dab some on a rag or a paper towel, and go attack the salt stains. Let dry. Bam! 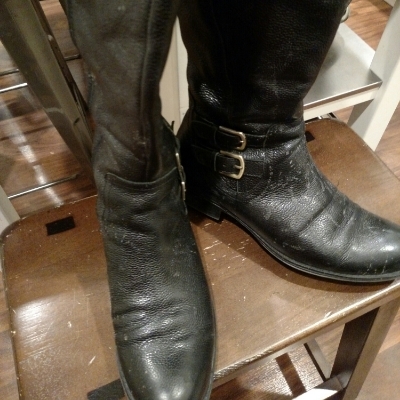 Clean boots! Vinegar is magic, i tells you.